Posted on February 6, 2019 at 11:33 am. 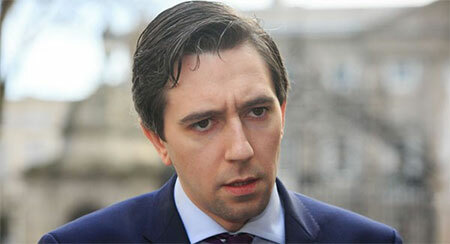 The extent of gambling addiction in Ireland far exceeds what is on record, the Health Service Executive has admitted. About 800 people in Ireland have officially sought help from the HSE in gambling addiction-related cases since 2015, but those figures have been termed as “the tip of the iceberg”. The numbers came out after Sinn Féin’s Louise O’Reilly demanded them from the Minister for Health, Simon Harris. Harris then forwarded the request to the HSE, which confessed that current data does not truly reflect the scope of the issue. Speaking to The Journal, O’Reilly indicated that the government had not done enough to understand problem gambling in Ireland. In its reply to the Dublin Fingal TD, the HSE noted that its addiction services have been “traditionally funded to treat problematic drug and alcohol use, some cases of problematic gambling have been provided with treatment”. The public health body said the figures it has are related to the cases officially reported to the National Drug Treatment Reporting System (NDTRS). The reply stated that because reporting problem to the NDTRS is optional, “these figures cannot be considered complete or representative of the treatment for gambling in a national context”. That notwithstanding, the official stats released by the HSE show that 208 cases were reported in 2015, 195 in 2016 and 219 in 2017 – a total of 622 gambling addiction cases in three years. Although the numbers for 2018 are not yet finalised, 174 cases related to gambling addiction were reported and treated.